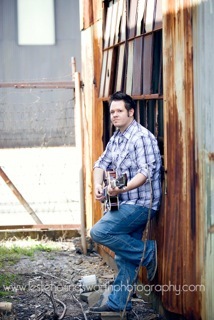 This interview is with guitar teacher Shane Nicholas from stickandstrum. Shane offers great insights into what it's like to be a multi-instrument teacher running a very unique studio. While most guitar teachers focus on traditional styled lessons either one-on-one or in small groups, Shane gives his students a lot of variety in learning options. From a guitar teacher's point of view it's great to see how Shane puts his strengths to work to create a unique learning environment for his students. The new stickandstrum studio is in Riverchase. 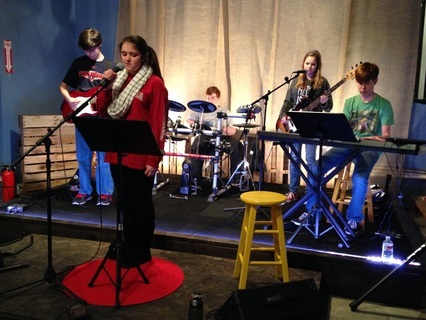 It is conveniently located with easy access for those seeking music lessons in Hoover, Pelham, Helena and Alabaster. I have been teaching privately for almost ten years. I began as a guitar instructor, quickly added piano lessons and added bass, ukulele, and drum lessons as the years progressed and I saw that people were interested. So, you teach guitar, bass, drums, piano, and ukulele? How does teaching all those instruments help out your guitar students? It’s a mouthful to have to list all of those, isn’t it? I do teach a variety of instruments and I love it. For me, it helps to keep me fresh because my day is constantly changing. I’m not sitting in the same chair teaching the same type of student for hours on end. An afternoon on a typical day might see me teaching a group drum class for ages 6-12, followed by an intermediate guitar student that is working on songs for his band, followed by a teen student working on songs for her upcoming CoffeeHouse gig, followed by a preteen ukulele student working on songs from Katy Perry and Bruno Mars, followed by an advanced guitar student working on songs for his High School jazz band, followed by a middle school band working on Lorde, Adele, and Owl City tunes. It keeps me on my toes and gives me energy as I am constantly changing gears. At first, I tried to keep all of the instruments separate. I tried to be a guitar teacher. Then a piano teacher. But, it’s not who I am. I’m not just a guitar teacher. I teach multiple instruments and that’s what makes what I do unique. Once I embraced that, students and parents could really see a difference. For one, I have the ability to jam with students on a variety of instruments. It’s fairly common for me to grab a cajon and accompany an acoustic student or group guitar class, drag a guitar student over to the drum set so that we can jam together and he can get a feel for playing with a drummer, or show students how different instruments interact with what they are playing. As I’m working with bands (and the students within the bands) I have a unique perspective in that I have a big picture overview of the entire band and song but also work with each student in the band individually. So I can help a bass student on his part while explaining (and even demonstrating on guitar or drums) what it will sound like and how it will fit in the big picture. I have also seen quite a few students pick up a second (or even third) instrument while taking lessons. Unless you are going for virtuoso status, picking up a second instrument will probably help you to become a better guitarist. I know that I am a better guitar player because I play bass, piano, drums, etc. Each instrument gives you unique insight and abilities. Your rhythm develops on a whole new level once you know how to play drums as well. Your understanding of chords and theory may drastically improve if you learn how to play chords, scales, and inversions on the piano. Instruments are a lot more interconnected than most people think and I find that picking up a second instrument is fairly easy for most students. You help students form bands and solo acts which is something most teachers can’t help with. How do you do that? As my students grew in numbers and ability I found myself in an interesting predicament. I teach most instruments (guitar, drums, bass, piano, and ukulele) and do big recitals each Spring. I found that many of my intermediate students were losing focus and getting bored. They worked hard and enjoyed themselves during the early stages of learning an instrument and saw immediate gratification as they gained skills and ability. Once they reached the intermediate stage, change comes slower and more gradually as they begin to refine their skills. Without an outlet and a goal to strive towards, many students were getting bored and starting to pursue other options. So, I started to put my students into bands for recitals. I would form a band with a couple of guitarists, a bassist, a drummer, and maybe a keyboard player. In the early years, I would sing or bring in friends to sing along with my students. The recitals were a major success, including our ALL BEATLES recital in 2012! As the success of bands started to take off I also had a growing number of students interested in singing and playing acoustic instruments (acoustic guitar, ukulele, and piano). Last year I started doing a CoffeeHouse each semester to give these students a first taste at performing. We set up a location to look like a CoffeeHouse with tables, chairs, snacks, coffee, and a cool stage design. I want it to feel as authentic as possible for students while also making it a very laid back and safe environment for beginning performers. The students that play in the CoffeeHouse each semester now range from my “pro” students who have performed numerous times at these events and other local gigs to students that are playing in front of people for their first time. I have had quite a few parents come up with tears in their eyes thanking me after a CoffeeHouse and telling me that they had no idea that their child could do that! We have just finished up our 4th CoffeeHouse and they are always a lot of fun! As these two sides of the studio grew (bands and acoustic acts), it only made sense to combine them. I took some of my most confident and talented acoustic artists and let them be the frontman for a band. I currently have three student bands (with a few more in the pipeline) that are entirely student led that play songs ranging from The Beatles, Imagine Dragons, Bon Jovi, Foo Fighters, Lorde, and more! What are some of the things accomplished by the bands and solo acts that you’ve helped create? We are just getting started with local gigs, but in the past two months we have played at the Vulcan Run 10K in downtown Birmingham, a Fall Bazaar in Helena, and the Bucs Bazaar at Bumpus Middle School. We have had great crowd response at each show and have quite a few gigs on the horizon in the Spring. People see these kids rocking out (most are in middle school) and are blown away. We also strive to be respectful and professional at each show which goes a long way. Each year we do a big Spring recital that showcases not only the bands and solo acts, but also the beginner students that are working their way towards that goal. It’s a great way for advanced students to look back and see where they were a few short years ago while also inspiring up and coming students as they get to watch older students perform. We also do a CoffeeHouse each semester for acoustic students that has great success. Students also take their abilities into their local churches and schools to perform. With the new studio, I will be turning over more responsibility to the students in each band. Students will create logos and designs for T-Shirts, posters, and other advertising and merchandise. Students will take over social media for their bands. They are GREAT at this! One of my students setup an Instagram page for his band (www.instagram.com/meninblackband) and within a few hours they had almost as many followers as my studio page! I will also begin letting them work with the website more so that they can get a better feel for marketing and promotion. I promote leaders in each band to help run practices, pick set lists, and keep everyone in line. Our two current websites are www.meninblackband.weebly.com and www.stickandstrumacoustic.weebly.com and work is underway on websites and social media accounts for our two new bands that were formed last month. Walk us through a typical guitar lesson and how it is different to the standard format. I’m not sure that I’ve ever had a typical guitar lesson, haha! In my early teaching years I think I stuck to a much more traditional path. Almost all of my students were beginners and I would go through a method/lesson book one song at a time each week. After a few semesters of this, both me and my students were bored out of our minds! I started incorporating riffs and songs they wanted to work on and things started to improve. I don’t really have a typical student, so it’s hard to give a concept of a typical lesson but I’ll take a stab at it.. I have learned that when you help a student to find his or her passion, then you have just unlocked his potential. If a student comes to me without knowing what they want to work on (or if they are a complete beginner) we work through foundational material. I want to make sure that whatever they decide to play, that they have a taste of everything and the capability to play it. Within the first year with guitar students, I generally try to cover basic guitar tab, reading treble clef, and guitar chords in the key of G. By the time the foundation is laid, most students have an idea of what they want to work on. My job now is to find things that inspire them and push them forward, whether that be a song that we are working on or the opportunity to play at an upcoming gig with a band. One of the things that really sets stickandstrum apart is that we take lessons with a goal in mind. A lot of guitar instructors and students go through lessons with no real sense of purpose. When people walk into my studio they know: I am here to learn to play in a band or perform as a solo act. Now, it may take a few years for them to reach these goals but they have a purpose and they can see other students that are just a little further in their journey playing with bands and playing gigs. A challenge for many bands and solo acts is to get out there and get gigs. How do you help with that? I think you have to play to your strengths. I have been incredibly fortunate in a variety of areas. Most guitar teachers are also musicians and have made contacts through that. I use different musician contacts to set up student gigs much like you would if you were seeking a gig for your own band. The thing that has really helped me is the parents of my students. Many of them have a variety of contacts that I would never have thought of. For example, one parent is an avid runner and marathoner. She and her husband are close friends with a guy that helps to put together most of the local races around town. A lot of these races will have bands along the course and some will have bands at the finish line. We have already played one race and are looking forward to doing a few more in 2014. We also played at a fundraiser for a local middle school a few weeks ago. One of my parents was the head of the PTA group that was setting up the fundraiser. That was an awesome experience as we were able to provide entertainment, but I also made some great contacts, and picked up a few new students. Another big one for us is social media. stickandstrum’s Facebook page is constantly being updated with photos (we have a professional photographer that does our events), videos (I use my iPad or iPhone for now), and other updates. I also make sure that all of our performance videos in addition to random student update videos are on our YouTube page. I can tell people about how great stickandstrum and lessons are all day but when they can see videos of what these kids can do… that sells itself. Let’s be real though.. Who doesn’t want to see a band of middle school guys that ROCKS? I’m anticipating a lot more gigs in the spring as word of who we are and what we are doing starts to spread. Your new studio opened at the start of the year (2014). How is it different for your students? There are a few things that I’m really excited about. The first is the overall feel and attitude of the new location. 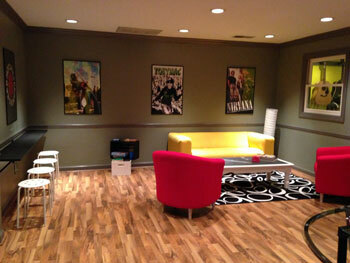 It has a vintage recording studio vibe with a nice lounge area for students and parents. First impressions say a lot and I want to make a good one here. Secondly, students have access to a bigger variety of instruments. I have the ability to keep various guitars, banjos, ukuleles, and other instruments out on the wall for them to try and experiment with. Want to try your song on a six-string banjo instead of your guitar? Go for it! The facilities for group classes are also greatly improved. I have six electric drum sets for my group drum classes and the response from students has been excellent. There is a stage area for bands and acoustic artists to practice and record videos. I’m currently working on setting up a small studio and recording area for students to record themselves and put together demos. I could go on and on.. There's a lot of new features available to students and a lot more to come in 2014! What advice do you have for a guitarist wanting to form a band or solo act in 2014? For beginners, the first step is just getting the guitar in your hands. The first few months are often the hardest so put yourself in a position where you can see others achieving goals around you. It will help to inspire you and drive you forward. If you see someone your age on stage rocking out to The Beatles or Imagine Dragons in front of hundreds of people you have to be able to visualize that you can be there too. It just takes hard work, dedication, and time. For people that already play guitar and are looking to get plugged in somewhere, start playing with people. Find some friends and start a band. Like a lot of people, I got started as a teen with a few friends in my garage. I am able to help students and guide them with bands, but ultimately it is up to the student to find that drive within themselves and go for it. Get started! What are you waiting for? How do you use technology in your studio? Technology has moved SO fast in the last few years! When I first started teaching, the only way to learn a song was if a student brought me a CD and brought a printed out sheet of TAB. I would often have students bring me TAB for a song that I had never heard without bringing a CD and I wouldn’t be able to teach it because I didn’t know the song. Now, I use my iPhone and iPad. I can instantly pull up any song that a student wants to learn and the guitar TAB or chords for it. There are apps like Songsterr that make learning songs so much easier and we can always look at covers and tutorials on YouTube. I was initially afraid of these things taking away from my business, but they have only helped! I also frequently do video recordings for students. I can record a quick video demonstrating a technique on their phone and they can go back and rematch it during the week. This has helped tremendously! Check out stickandstrum's website for more information or shout out to Shane at stickandstrum's Facebook page or Twitter. Thanks Shane for providing this excellent insight to your unique lessons and studio. Say thanks to Shane by sharing his interview using the social media buttons below.